It’s Kickoff o’clock, are you ready for it? Football season is totally here and I’m totally game! Go team! 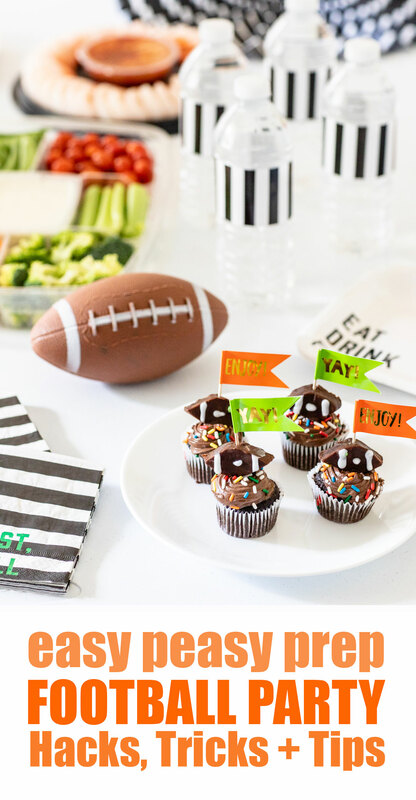 Today, I’m sharing some quick tips on how to get ready for game day! 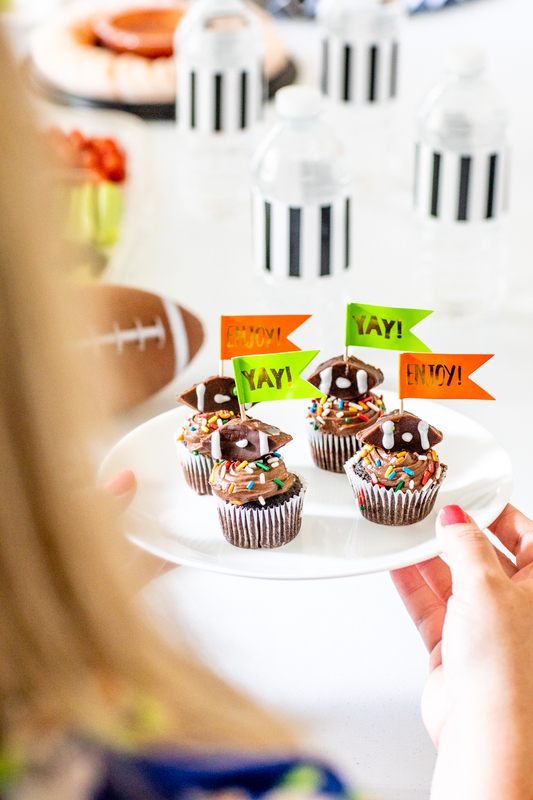 Enter easy football party prep from fun food and cute ideas all the way to fresh products to help you and your fam get ready to cheer. This post is sponsored by Mirum about the Own Your Look program at Publix, all opinions are my own. If you’ve known me for some time now, you know that I’m all about winning shortcuts. Because girlfriend, I have no time to waste in this life. I’m trying to pull it all off flawlessly with as little time and stress as possible. So, if you are trying to do it all but don’t know exactly how to, you have most definitely stumbled on the right place. Welcome! If your family loves watching football together, you can really take advantage and turn it into something extra special with little effort. 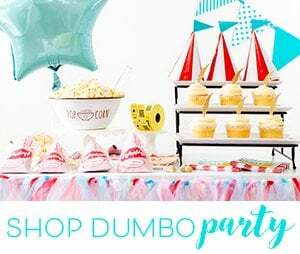 Today, I’m sharing how to leverage your local Publix store to pick up literally everything you need to set up for a day of family fun. Let’s start by trying something new to look your best! 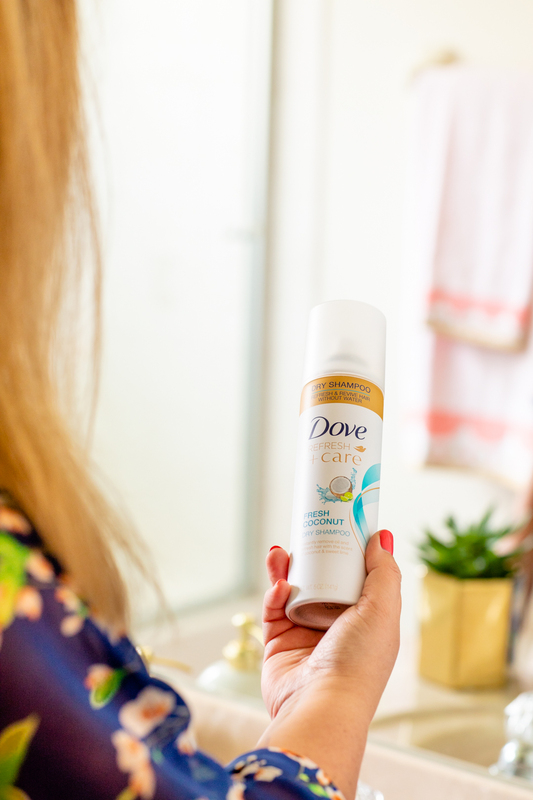 After checking out this seasons happenings over on the Own Your Look hub, the Dove Refresh+Care Fresh Coconut Dry Shampoo caught my attention real fast. I have been needing to buy more dry shampoo, because… it’s amazing and I’m generally a coconut fragrance fanatic. 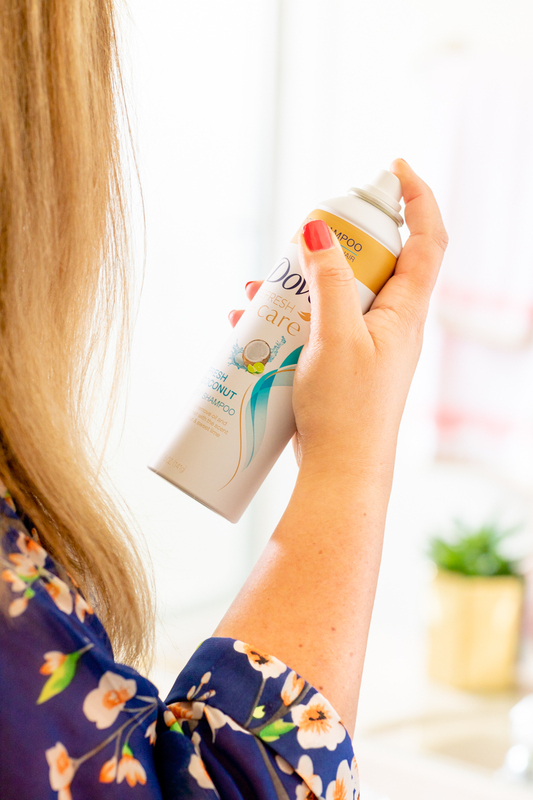 Having dry shampoo on hand is a must for me nowadays because it’s the fastest way to refresh your hair when you don’t want to wash it or you simply just don’t have time (raises both hands). It basically brings your hair back to life and also makes it smell like you just had a blowout. Instant touchdown! Keep reading for even more hot products your fam will love to get game day ready and I’ll show you how to score big savings at Publix! 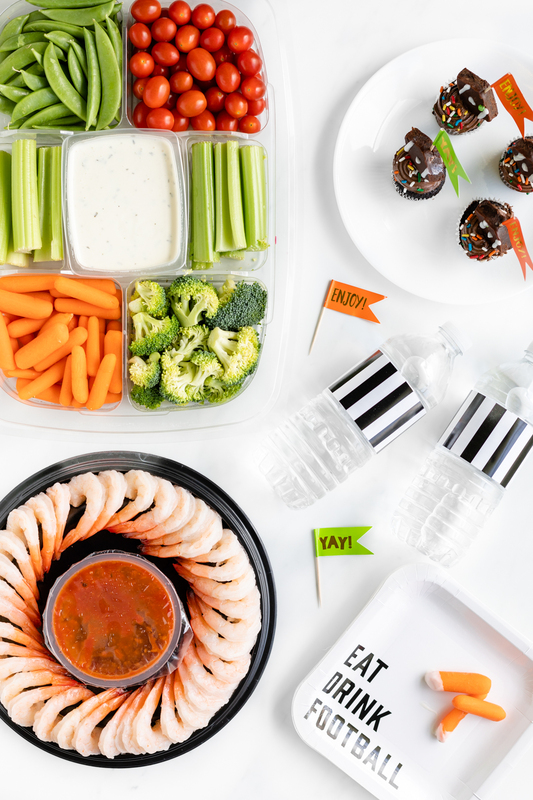 Now, how to hack game day eats. 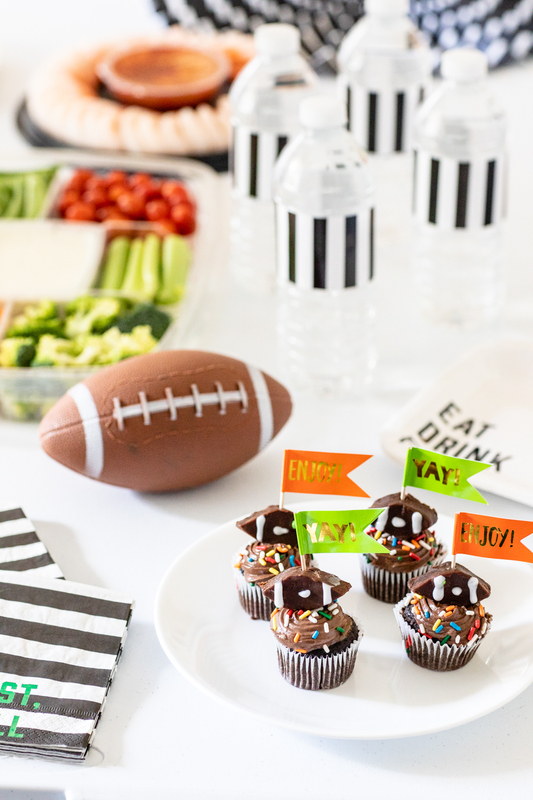 Let’s face it at least 50% of the reason game day is so fun is definitely the food. But, realistically I don’t really want to be in the kitchen all day trying to make it all happen. That’s why I love shopping Publix for simple party foods. Their stuff is always fresh and ready to go. Between wings, shrimp rings (my family’s favorite) and fresh vegetable or fruit and cheese platters, I’m all over this. Since dessert is one of my very favorite things to enjoy on football day, I like spending a little more time putting something fun and themed if I can. I came up with the cutest most easy idea all in one. I picked up mini chocolate cupcakes with sprinkles and then, using a butter knife, I cut mini football shapes out of store-bought fudge brownies. Then, I used a few dabs of white icing to make them look more like footballs. I used cute picks to hold the brownie footballs in place. Voila! Super cute cupcakes in minutes. Go team! Are you ready to “Own Your Look” this football season? 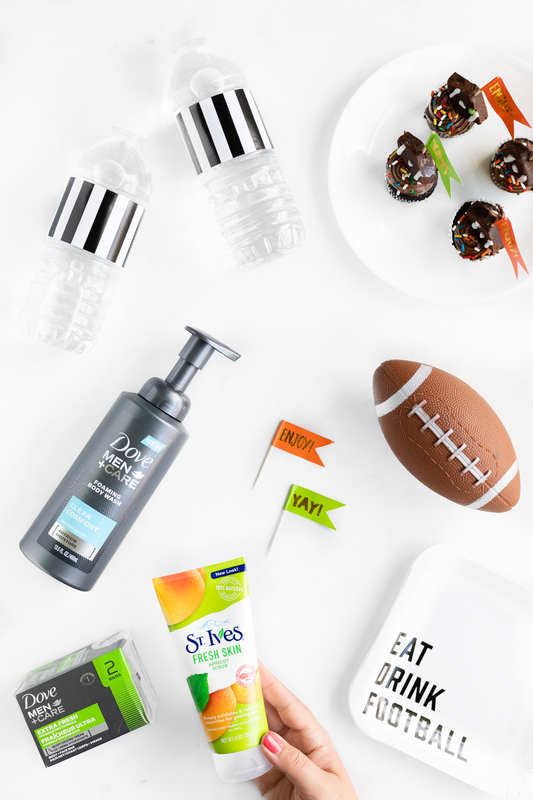 Remember to shop your favorite Dove and St. Ives products when you shop for other football party supplies this season! It’s a great time to try something new! Hi there. I'm all about cute & clever ideas. Food, crafts & coffee make me smile. I've been blogging 7+ years and enjoy every minute of it. I adore creating & snapping pics in sunny Florida. Hi there. I'm all about cute & clever ideas. 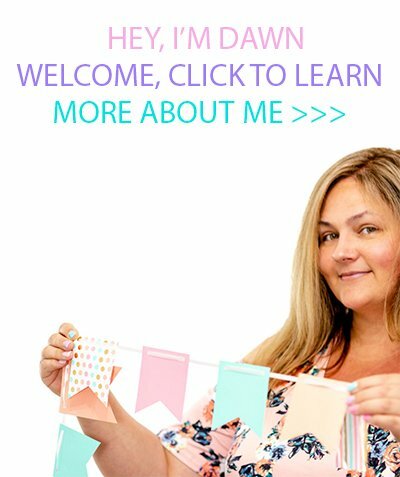 At Cutefetti, I strive to share inspired ideas that make everyday better. Learn more!